Huzzah! Super Smash Bros Ultimate has finally released and it is time for us all to grace in it’s ultimate glory. I didn’t get the Combo pack with the controller as I already have enough controllers. From Joy-Cons, Pro Controller and even a GameCube controller and adapter. I did however, get the new Smash Bros amiibo instead. 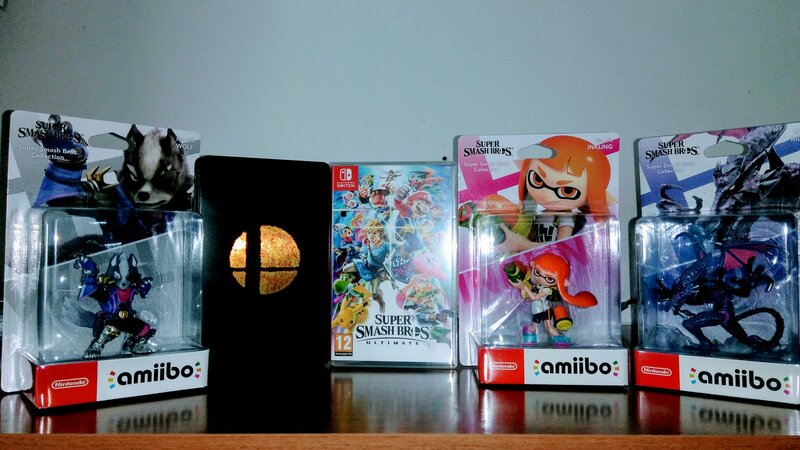 I used my GAME points to save on buying the third amiibo and got it for around $4.00. Well anyway, I decided to do a Super Smash Bros Ultimate + amiibo unboxing video which, is why you guys and girls are most likely here for.